Global E M S (Pvt) Ltd - House-planning and advertising related company is seeking dynamic and self-motivated young (female) person to join our team. Age should between 18-35 years, with the following qualifications. 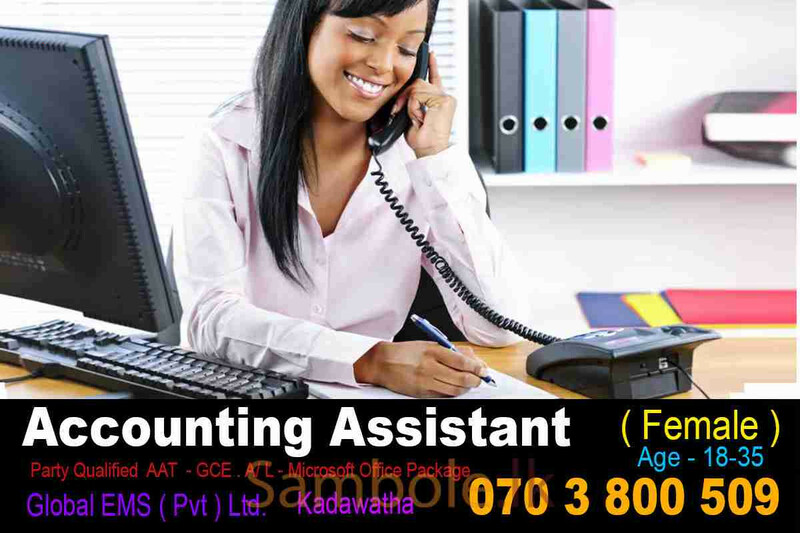 • Good working knowledge of Word & Excel. • Should be a good team player with excellent communication skills. If interested, please send your applications within 14 days. No. 242/A/4, Kandy Road, Kadawatha.